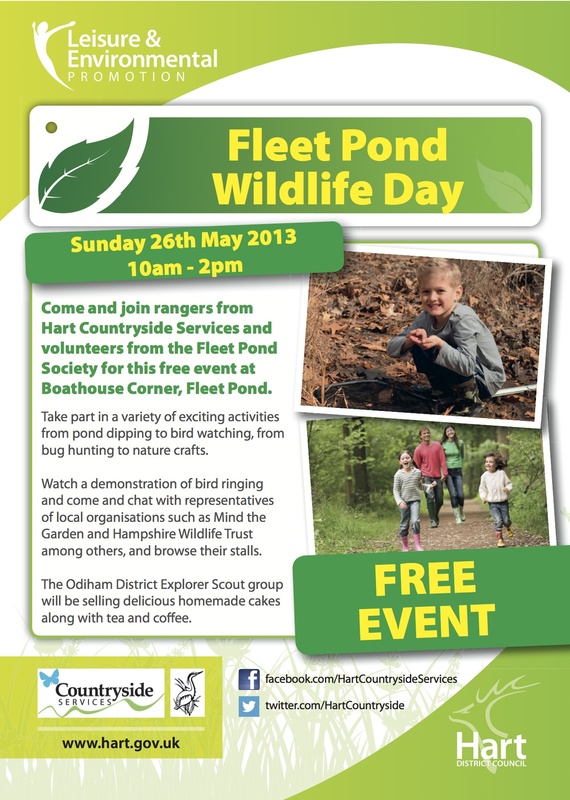 There are lots of exciting activities planned for the Fleet Pond Wildlife Day on Sunday 26th May. This is a free event and is open from 10am till 2pm, so drop in anytime! “Fleet Pond Society is this year’s worthy recipient of the Lions District’s Helen Deakin Environment Award. They were nominated by Fleet Lions for their outstanding work for Fleet Pond nature reserve, particularly their Clearwater Campaign. 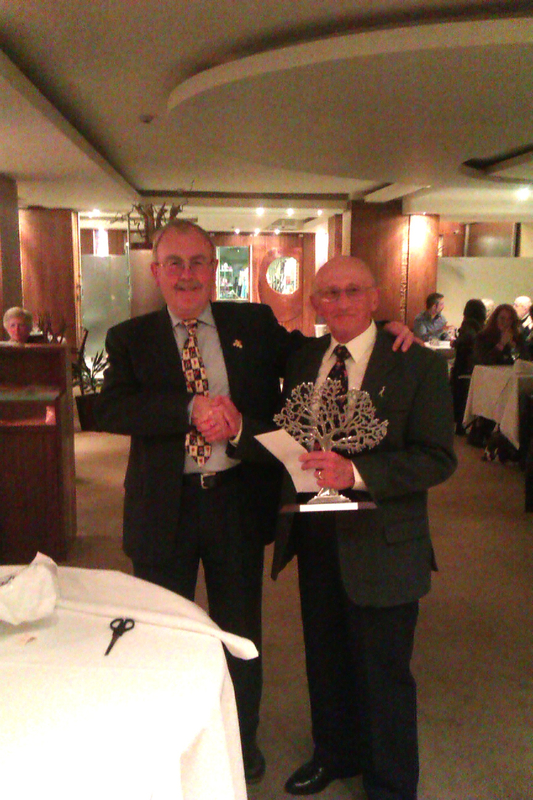 Lion Jim Storey presented the trophy to Colin Gray, the Society’s Chairman, at the recent Hart District Council Chairman’s fundraising dinner at the WE restaurant. This was accompanied by a cheque for £100. Lions have run numerous campaigns to help and promote the environment over the years. 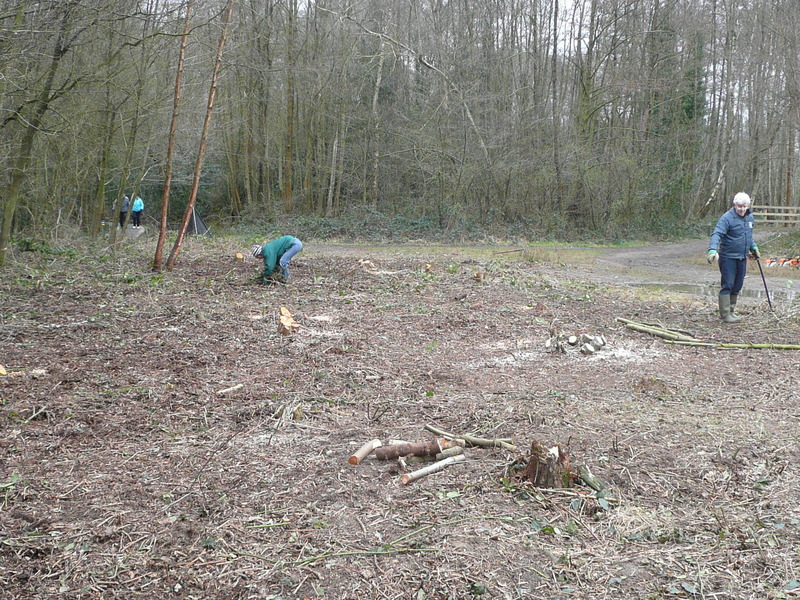 And many Clubs help their own local environments with cleanups, recycling schemes, conservation tasks and donations of materials. “As 2013 is my 75th year, I thought it was about time I escaped from my desktop computer for a while, stopped going on about Fleet Pond and went out to earn some funds for the nature reserve! FPS Treasurer, Nick Keeley, has drawn out a route for a walk that will take me to as many wildlife and environmentally important sites as possible in one day (see picture above). The route totals approximately 21 miles. 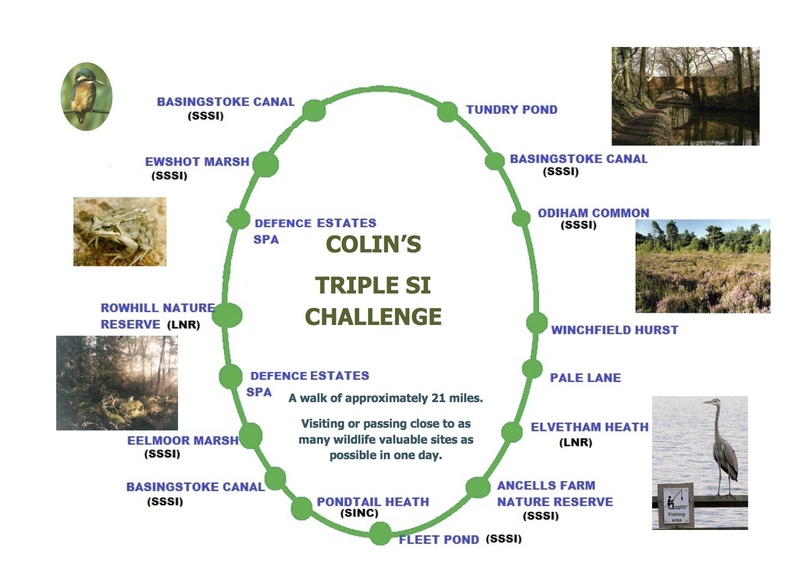 As Fleet Pond is the start and end point and is a SSSI, I felt it appropriate to use Triple SI as the name of the challenge! The walk will take place in September 2013 and the exact date will be specified nearer the time, to take into account likely weather conditions. 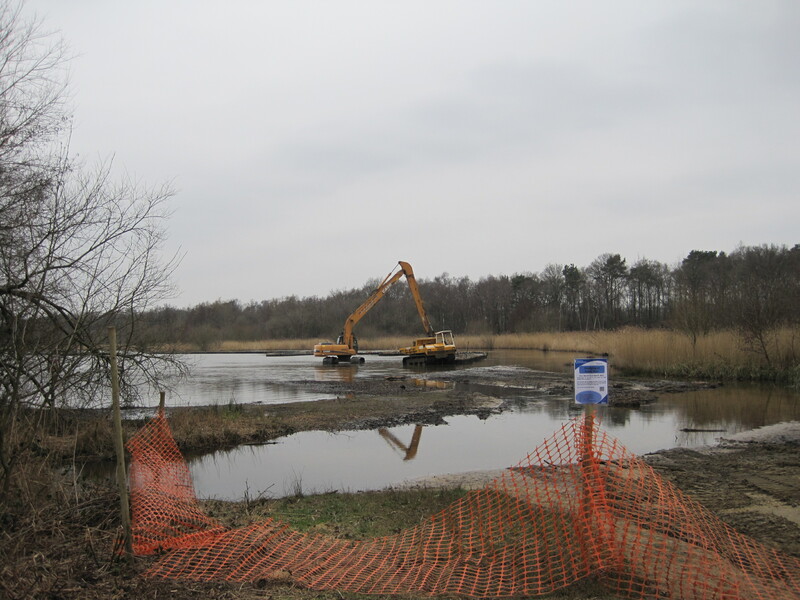 The money raised will be used to fund elements of the Fleet Pond Restoration Programme which will include upgrading footpaths, installing more picnic benches and seats and use of dredged silt for onsite work like a new viewpoint. “This Sunday’s task is to move a large amount of cut material from the seasons work parties to Boathouse Corner and from there out to the new islands. In May, 8,000 new reed plants will arrive to be planted on the islands! 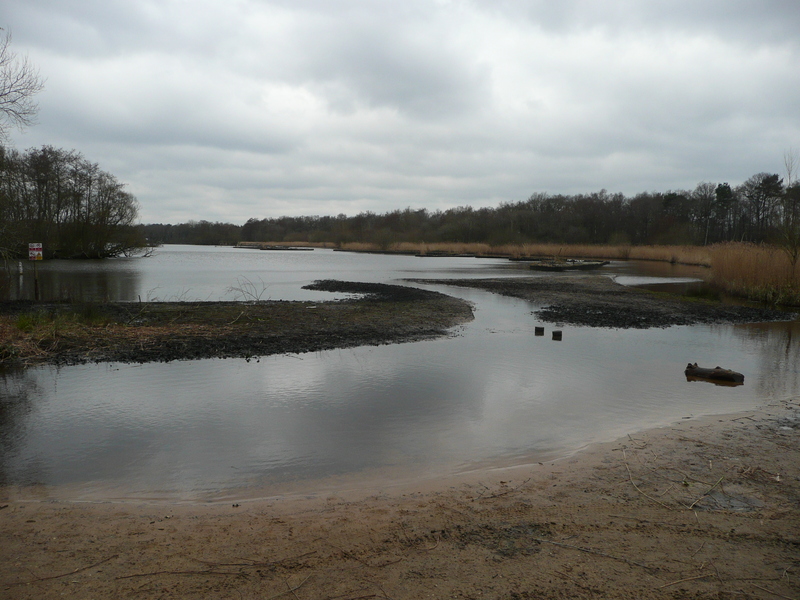 The cut material, birch, alder and willow top growth, will be laid over and around the new reed plants to stop ducks and geese grazing all the new plants and allow them to root and grow to mature plants. 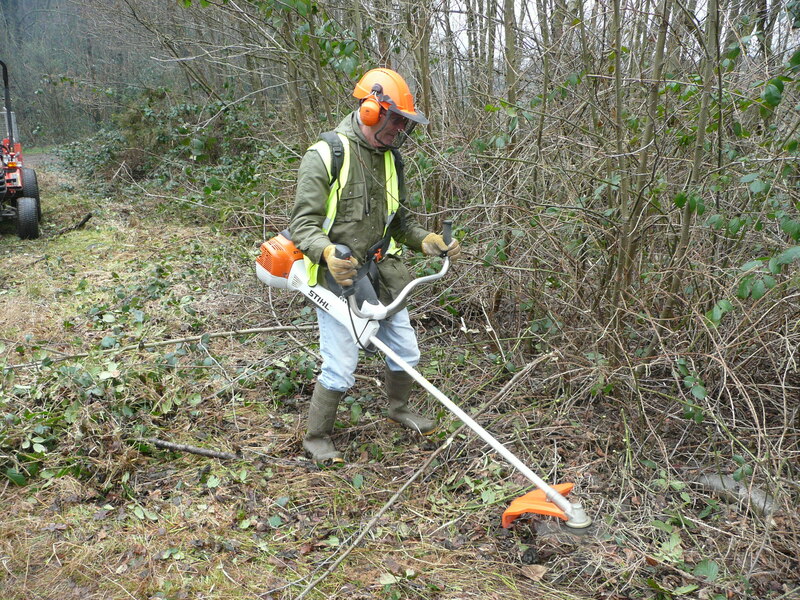 Here are some photos from the Sunday Volunteer Event held on 10th March this year. The aim was to make further progress with the clearance at Sandy Bay prior to the workmen arriving to carry out the dredging in that area (see below). There was a very good turnout and a wide range of ages, including family groups. 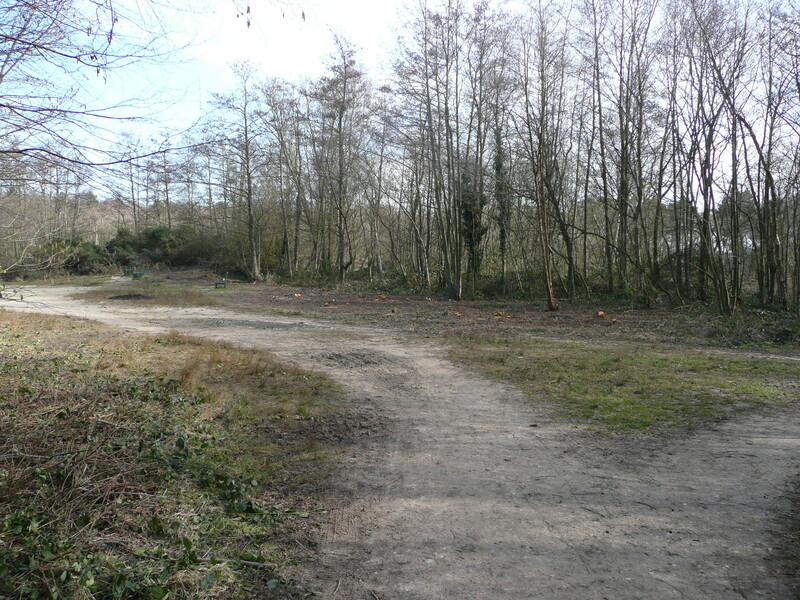 It’s surprising how much you can get done with a team of people working for a few hours – all the small trees and gorse have been completely removed! It’s great being out in the fresh air too. The final result – everything neat and tidy! 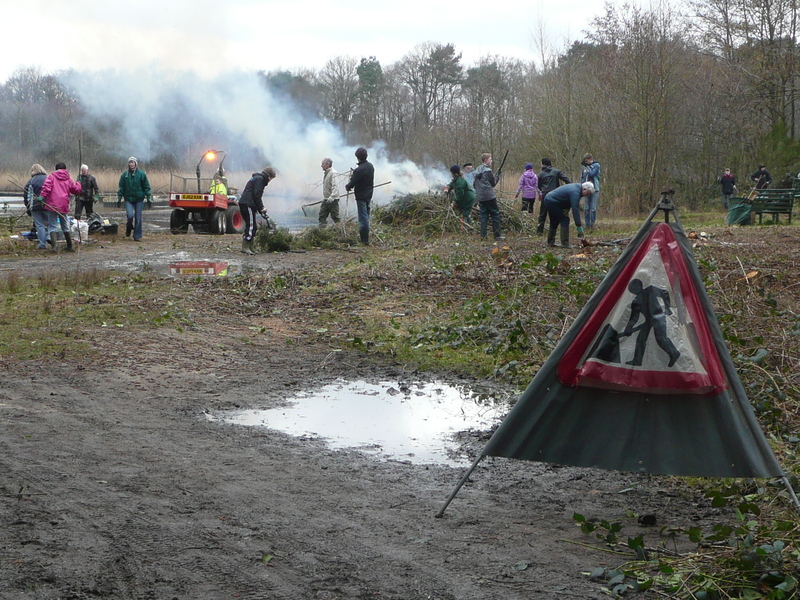 The next Sunday Volunteer Event will take place on April 14th (details will be posted on this blog nearer the time). Why not consider coming along, all volunteers are very welcome! You are currently browsing the Fleet Pond Blog blog archives for April, 2013.